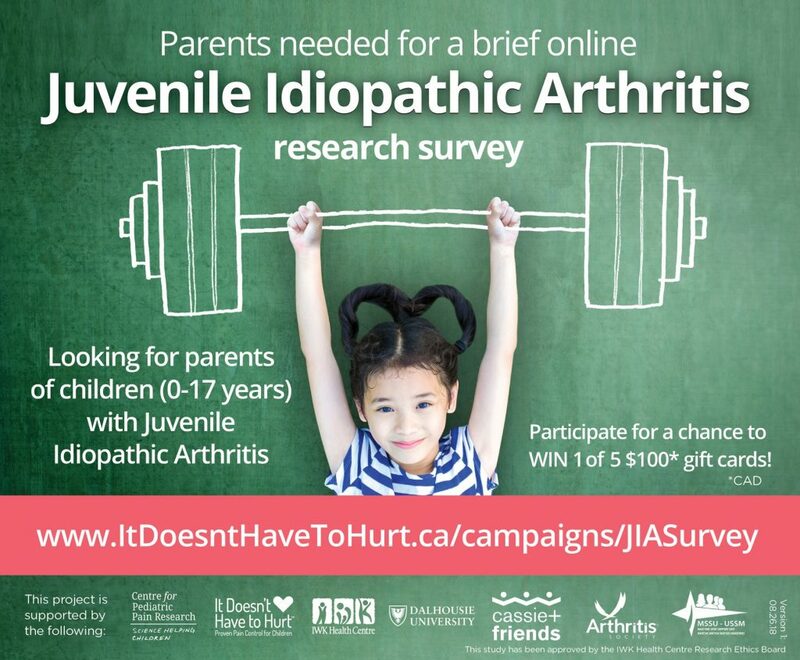 Thank you to all the families who took part in our recent online study for parents of children with Juvenile Idiopathic Arthritis. We know that pain is a common experience in childhood arthritis, and that it often due to both the disease itself and some of the treatments. We partnered with Cassie & Friends to better understand parent perspectives of arthritis-related pain through a brief online survey. Families who entered the draw to win 1 of 5 $100 CAD online gift cards as a thank you will be drawn and contacted shortly.